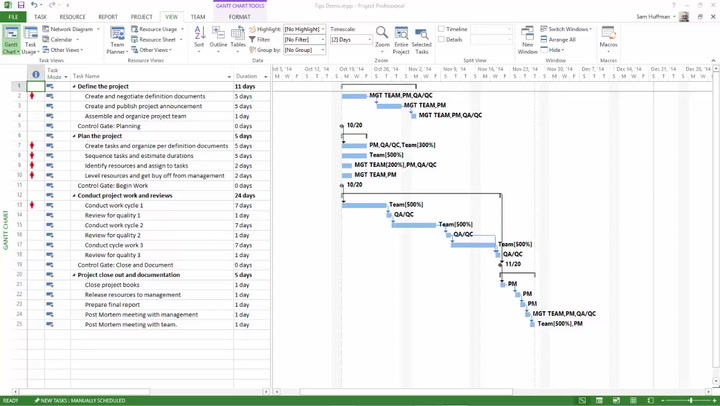 A set of Excel files to help users speed up project management. Project Manager: Designed to help you or a novice user manage a single project at a time. You can set a baseline plan, track actual progress and compare the current plan to the baseline. Project Planner (Advanced): This version handles multiple projects, with automatic scheduling, reporting, Gantt charting and resource management. Task Manager: For managing a day-to-day task list, for either one-time activities or recurring tasks. You can also assign a resource to a task. Event Calendar Maker: When you need to present your project calendar to show key dates or project milestones, this template enables you to create personalized project calendars. Gantt Chart Maker: Create customized Gantt charts for your projects with a variety of customization options. Resource Capacity Planner: Evaluate your team’s resource capability by skill and then compare demand to availability to determine surplus or deficit.